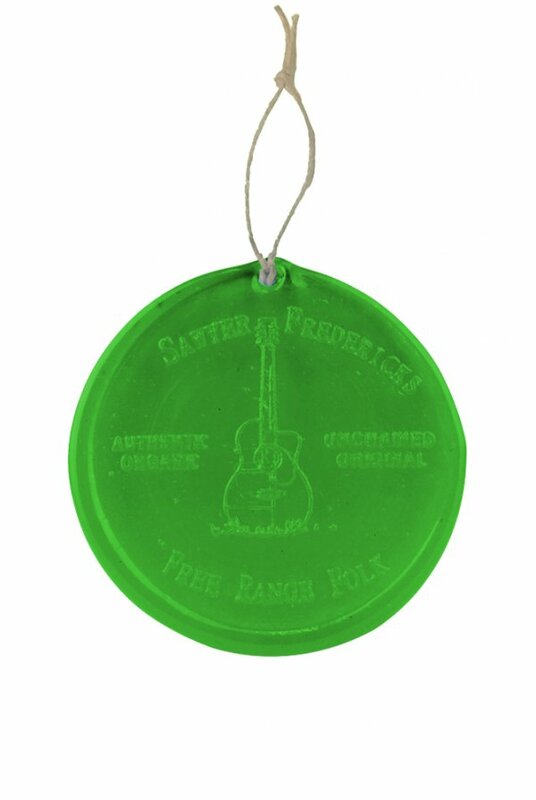 Sawyer's Free Range Folk Suncatchers are made from 100% recycled glass by The Glass ReFactory of Georgetown Ohio. Sawyer's Suncatchers are 4" in diameter, light blue and have Sawyer's iconic Free Range Folk Design pressed into the glass. Hang by a window or light, inside or out, you can also display them on an ornament stand. For year round enjoyment and you can even add these to your Christmas tree! Sawyer's Free Range Folk Design was crafted by Kirsten Fredericks. The Glass ReFactory sources its glass bottles from its non-profit recycling facility. Check out The Glass ReFactory at http://www.glassrefactory.com/index.htm to see their designs and read about their philanthropic works.